January 29th, 2012. Mexico City. Today PEN International, the world’s oldest international literary and human rights organization, held an event in Mexico City called PEN Protesta! This gathering was organized to show international solidarity with Mexican writers, poets and journalists; as well as demand security when supporting freedom of expression in Mexico. PEN Protesta! was held in Casa Lamm, a beautiful house that serves as a cultural centre and as a gallery. It is located in the legendary Colonia Roma, a cultural “barrio” in DF, known for it’s early twentieth century constructions. Writers from more than 10 countries made a public demand for accountability for the murders and disappearances of journalists in Mexico. The dynamic was good: each writer saying out loud some words in a minute or two, to support the cause. “Words, every time somebody tries to silence them, they fly away to different mouths and pens. They are mirrors where we can see our reflection everyday” -Laura Esquivel, Mexican writer. 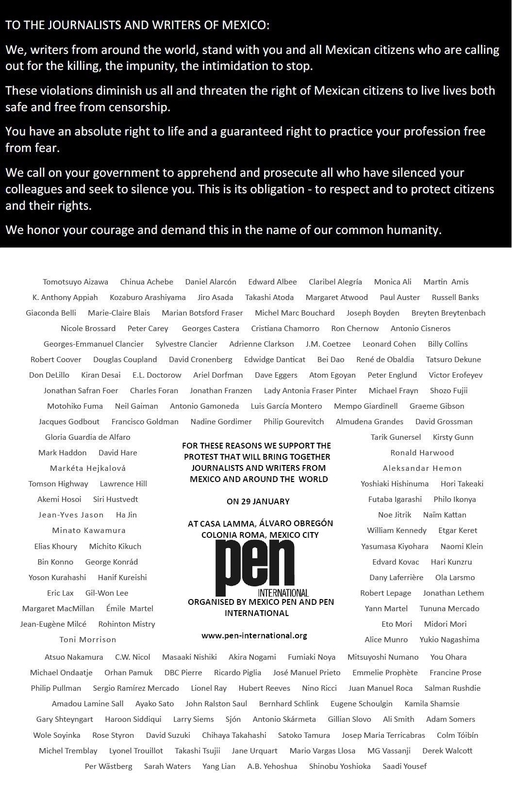 “All 7 North American PEN centres join together in Mexico, with London and Japan PEN, because of the violence” – John Ralston, PEN International President. “We are defending the humanity of Mexican people” – Russell Banks, American writer. “Us, journalists, have spoken too much” – Elia Baltazar, Periodistas a Pie. “Not only the journalists are in danger, in all areas of the newsroom there is a risk” – Andrea Miranda, El Debate journalist. “Mexican journalists risk their lives every day. The world should be vigilant” – Anne Marie O’Connor, Writer. – “It is through words that truth makes it’s own path” – Eduardo Vazquez, Mexican poet. – “ In Mexico to tell the truth is to risk your life (…) to write is to exercise our freedom” – Elena Poniatowska, Mexican Writer. 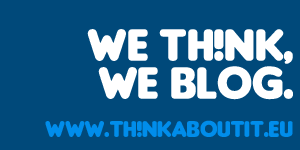 CategoriesArticles - Mexico, Periodismo / Journalism TagsJournalists in Mexico, PEN International, PEN Protesta!